Týrsday built a social wall for the #Vasachallenge of the Bas van de Goor Foundation: it offers a way to engage with both a small group of fundraisers and a large group of participants and fans. A short review. 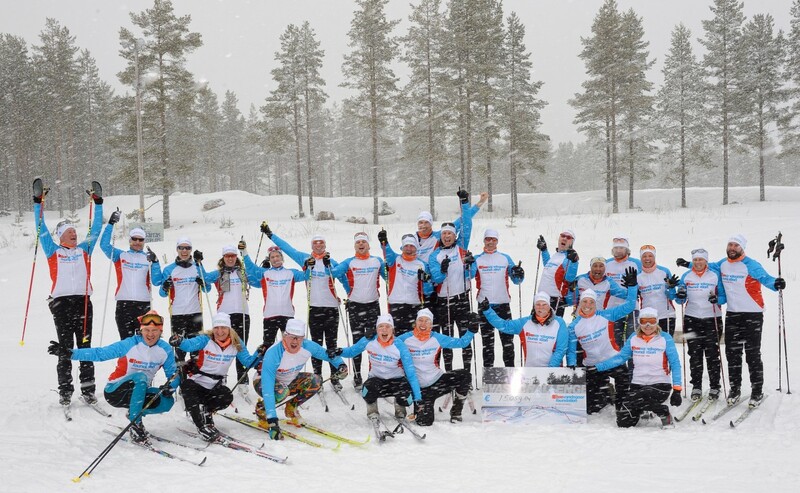 The Bas van de Goor Foundation organised the #Vasachallenge a fundraiser in which a team of 25 people collectively trained for and participated in the world famous Vasaloppet. The one week event attracts 60.000 participants and the traditional Sunday race draws 15.900 cross country skiers all starting the iconic race at the same time. 7 people with diabetes participated in this challenge (one of which was Bas himself who couldn't ski because of a broken collarbone). All of van der Goor's foundations activities are aimed at creating awareness for sports and diabetes, by setting an example, experiencing, and showing the world what works. Naturally the participants with diabetes were the best story tellers of the idea behind the foundation. The Bas van de Goor Foundation was sponsored by Týrsday and MissPublicity. Together they created a full fledged content and PR strategy to reach a great number of people within the right target groups. This strategy consisted of daily content, PR focused on press and influencers and the social wall service of Týrsday. "Stories about the Vasachallenge and diabetes have been shared on and been amplified by the Social Wall, resulting in extra funds being raised"
More than € 16.000 has been raised for the Bas van de Goor Foundation by this group of participants. Týrsday developed a social wall focused on events with many participants and/or fans. It has been used for several marathons (Rotterdam, New York City) and the field hockey, horseback riding and rowing World Championships. 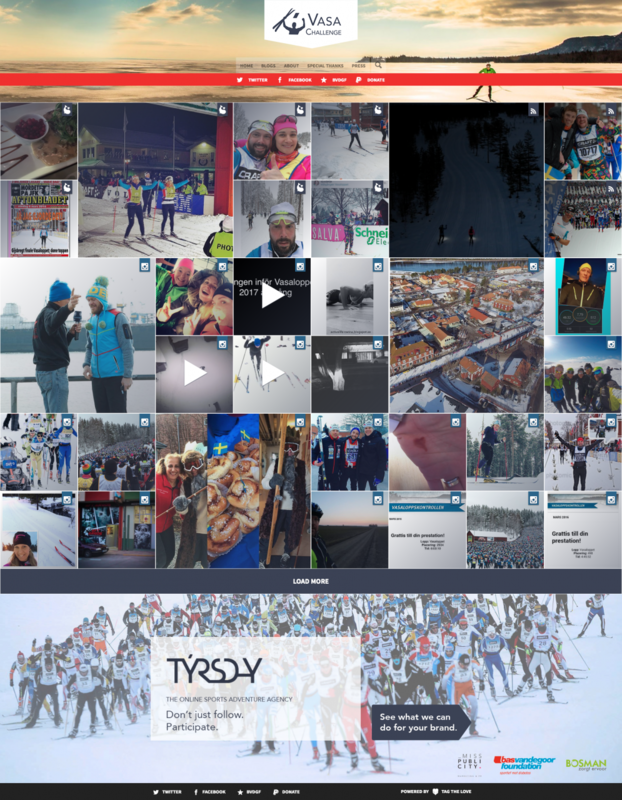 The Týrsday social wall offers a way to engage with both a small group (a participating team) and the large audience (all teams, participants and fans). By design the wall filters out certain social content generated by the general public and dedicates content made by Týrsday and the Týrsday client. For the #Vasachallenge Týrsday aggregated the hashtags #vasaloppet & #vasachallenge via Twitter and Instagram. The dedicated team consisted of 4 people using the Mobypicture photo sharing technology: Gijsbregt, Clarissa, Alewijn en Bas. Also Týrsday and Ronald Hoogendoorn made special content (see below). The front page of the social wall with content of blogs, videos, pictures and Instagram and Twitter sources. The social wall and content strategy focused on the week of preparations in Sweden and the day of the race itself. All together a time span of two weeks. A video made by Ronald Hoogendoorn on the social wall. The content strategy lead to the following content production and aggregation. "Twenty five people signed up for the Vasaloppet to support the Bas van de Goor Foundation. 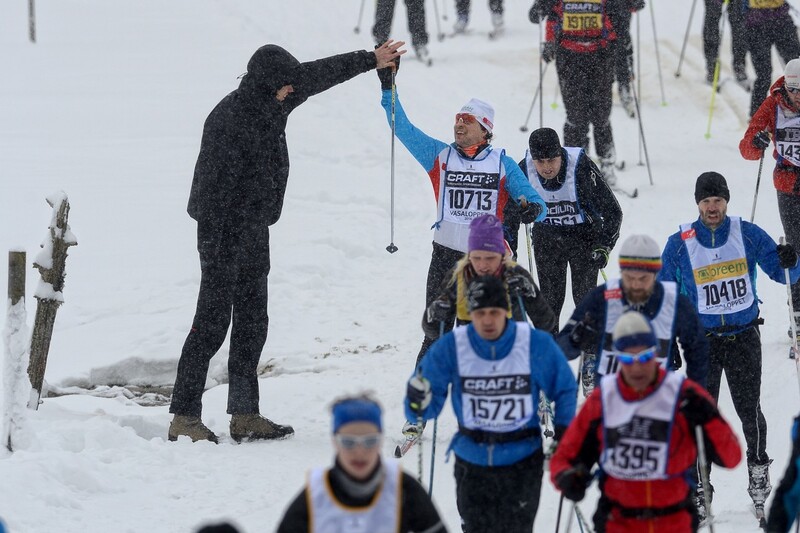 This 90 kilometers long Swedish cross country classic hails from Sälen to Mora. The goal of the challenge was to raise funds for the foundation and to create awareness for diabetes. Ten of our participants are diagnosed with diabetes and besides the regular preparations they also needed to prepare for the management of the diabetes, both before, during and after this long activity. For the registration and communication of the event it was the first time we used the Social Wall, which was sponsored by Týrsday, who developed this technology and tailored it to our needs. We saw that the Social Wall is a perfect way to connect people, both online and offline. Online, because several loose stories were connected and aggregated into to one central platform. It also committed our participants offline: their activity is the core of storytelling and distributing the content. We used the phrase 'sharing is caring' to show that it takes people to tell a story and make the service and technology reach their potential. I like to compare this to a party: some people bring the music, some the food and others the drinks. This kind of party has everybody involved as organisers and not only as guests, so everybody is more engaged and more content with seeing their own efforts back online. Stories about diabetes have been shared and extra funds has been raised, because there are many interesting reports on the Social Wall. As an outsider you take a deep dive into the event, just like your part of the team. You experience what the team experiences. This is amazing. As an experience and from an emotions point of view the Social Wall added a huge amount of extra value to our challenge. I'm looking forward to hear more about the in-depth statistics."